Unfussy food from a fun-loving kitchen. so, we’re on vacation. and it’s pretty freaking awesome. I am very brown & very relaxed & very pleased to offer you today’s guest post from my friend Lauren, who is beautiful and talented and funny and with whom I went to school for twelve years (she was a fellow Christmas pageant Mary). I know that you’ll appreciate her sense of aesthetics and clever voice as much as I do. you can find her regularly on her blog, Gathering Moss. Given that many of my cohorts are getting engaged and planning weddings, I asked Lauren to offer her advice on the kitchen-related part of The Infamous Wedding Registry—an arena in which I have zero expertise! hi hello, Lauren here. thanks for having me, Blue Jean Gourmet! it’s fairly hilarious that Nishta asked me to guest post, because I’m not that much of a cook. the cooking at chez stone is generally relegated to my husband, affectionately known in blogland as “captain fantastic.” because he is. except not at cleaning up after cooking. but that’s a-whole-nother blog post. I do make a mean vegetarian lasagna (thanks to my dad, who is also one of those fantastic cooking husbands) and a pretty sweet baked gouda (thanks to my mom, queen of the hors d’ oeuvres), so I suppose I qualify as a Blue Jean Gourmet. maybe more like a Tattered Overall Gourmet, but whatev. 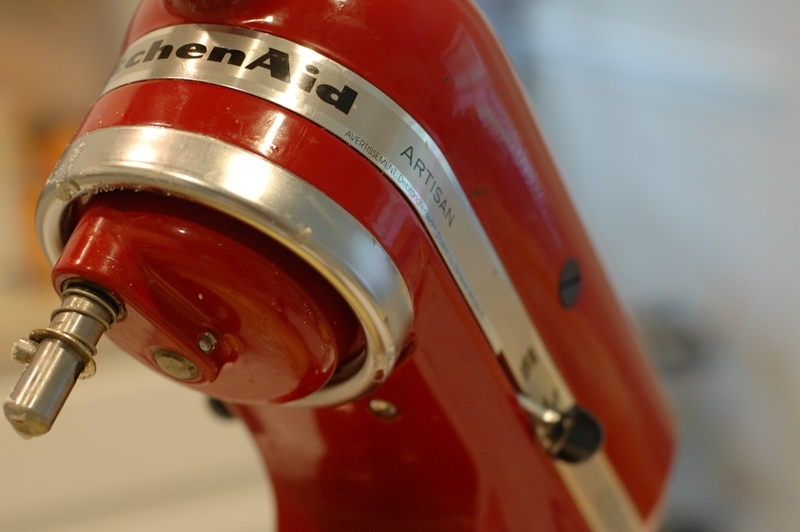 I would be remiss to not mention that ubiquitous wedding registry staple, the Kitchen Aid mixer. it comes in a gajillion delicious colors to match any decor, makes many types of food prep gloriously easy, and, if you have generous wedding guests, can be yours for free (well, ok minus the cost of the wedding…). even the non-cooking-inclined may find themselves regularly making brownies from scratch in the middle of the night with this beauty. I speak from experience. highly recommended. another helpful appliance is the food processor. 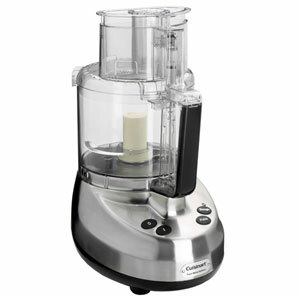 but beware – all I wanted in life (after my kitchenaid mixer, of course) was a shiny new food processor. which I may or may not have mentioned several dozen times. and I ended up being gifted four. 3 cup, 4 cup, 7 cup, 12 cup…one in every size. The size you’ll actually want depends on how you’ll be using it; for a couple or small family, 4 cups is probably good. 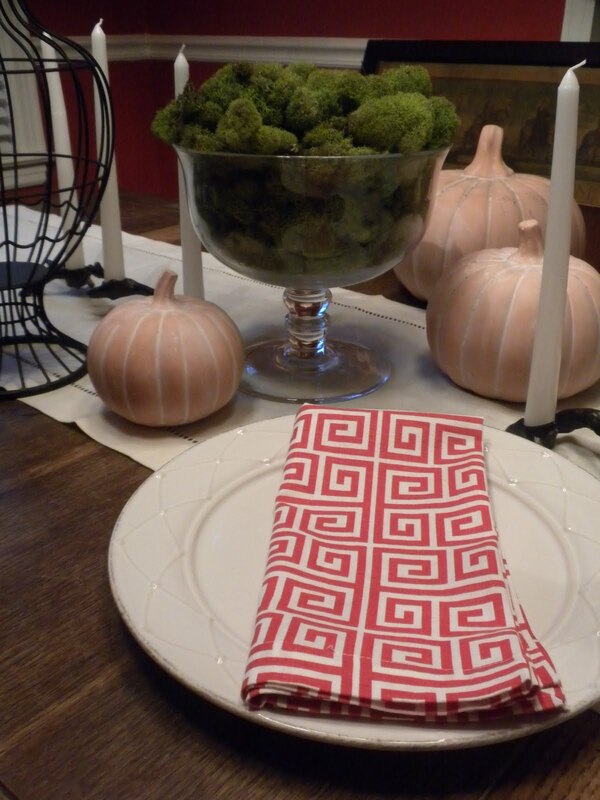 If you regularly host large dinner parties or plan on joining the Quiverfull movement, 12 cups may be the way to go. 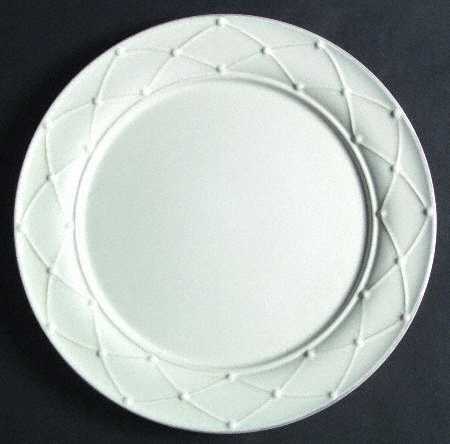 the number of dishes you request is also a matter of your lifestyle – if you live in an apartment in the city and rarely eat at home, you may only want 6 or 8 place settings, whereas big entertainers and family types will want 12. if you get extra plates (which can happen if you register for the same item at multiple stores), go ahead and keep them; things break. fill out your assortment of cooking and serving utensils by registering for that slotted spoon/silicone spatula/tongs/pizza cutter/other implement you’re always wishing you had but never remembering to procure. get some fancy wine glasses. Riedel are a perennial favorite. it’s a good idea to get both red and white wine glasses. if you’re always swilling martinis or sipping champagne, you may want to register for a set of specialty glasses. again, the number you request will depend on the number of people you anticipate needing to serve. your registry information does not belong on your wedding invitation; it can spread by word of mouth (traditionally through your mom), on shower invitations and/or on a wedding website if you have one. it’s advisable to register with at least one national big box store with an online component, like Macy’s, Williams Sonoma or Target; this way, out of town guests can easily choose a gift and have it shipped straight to you. remember to choose a variety of gifts in a wide price range so that all of your guests will be able to give a gift that’s comfortable for them. any veteran married folk out there who’d like to share a particular registry item that’s gotten lots of use? anyone in the registry process right now and have a specific question? comment away! Lauren Stone is an undercover decorator with a day job in communications (much like Clark Kent, but with a more stylish wardrobe). She never met a topiary she didn’t like. or a piece of chocolate. lauren got into blogging while planning her june 2009 wedding, when she realized that there was a whole community of people out there who would rather be DIYing. Born and raised in Memphis, Tennessee, she currently resides there with new hubby, Captain Fantastic, and their giant mutthounds, Marley and Sterling. team stone is on a tireless crusade to turn their little house into a home, one ridiculous project at a time. This entry was posted in Inedible and tagged PSA, wedding. Bookmark the permalink. Love the guest column and will now traipse over to check out Lauren’s blog after pointing out the best non-kitchen wedding gift we received was a hammock! Great post! A tradition we started on our first anniversary was to go to Crate and Barrel (where we registered) and buy ourselves something great for our home. We entertain a lot, so cheese tools, platters, wine buckets, etc. all get a good workout at our place. I also tell bride friends not to register at a place where they normally shop. I mean, I love Target, but really–I’m going there anyway. We registered at C&B because they have great stuff that we considered more special than the usual places (Target and Bed, Bath & Beyond). 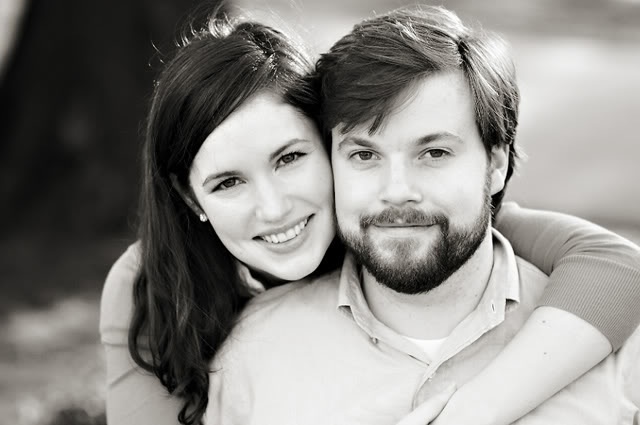 Nice guest post…two of my favorite (NON-annoying) bloggers unite!! Married almost 13 years here & agree w/ the above. I also suggest registering for a nice blender (Cuisinart), coffee maker (even if you aren’t old enough to drink it everyday yourself, your guests/parents will appreciate it), nice dish towels (we’re partial to William-Sonoma), good plastic cutting boards (again, WS has some great ones for each type of food – beef/chicken/seafood/veggie – so you don’t suffer from cross-contamination), and a big platter for serving holiday meats (turkey, ham, etc). Don’t be afraid to get nice things because they really will last longer than cheaper versions. You can always add to your kitchen collections down the road. (We actually just bought our garlic press this year!) And definitely get more pieces of your everyday china than you think you’ll need – we’re down to 5 cereal/salad bowls & our pattern is discontinued. Bon appetit! Adored your post, Lauren! Great registering advice … and beautiful photo of you and Captain Fantastic. One thing I’d add to the registry – if you love to cook but don’t have double ovens – a counter convection oven – they’re big enough to handle a medium sized turkey and free up the oven on big holidays – love mine. great post … some of the best advice i received and now pass along is to register for things in all price ranges with 90% of your list in the $15-$50 range. that way no one feels like you are being greedy but you still have that “larger request” on there for aunt sally. i agree with the coffee maker. we don’t drink coffee so we put a french press on the registry. for our coffee drinking guests, it’s awesome and supposedly it makes better coffee? who knew. i was thinking space saver!! the one thing we didn’t register for and i wish we had … a griddle. so silly but man it would make pancake making and english muffin making so much easier! !